A small church at the coast of Faliro, marks where the Apostle Paul arrived in Athens by ship from Macedonia. Numerous churches are dedicated to St. Paul, including the Church of 11th Acropolis. “Mars Hill,” where Apostle Paul preached God’s Word to the Athenian philosophers is a top attraction. The Agora was the heart of Athens in Paul’s time and his meeting place with the first followers of Christ. Other notable sites of are Panathinaiko Stadium, Parliament, Presidential Guards and Trilogy of Athens. 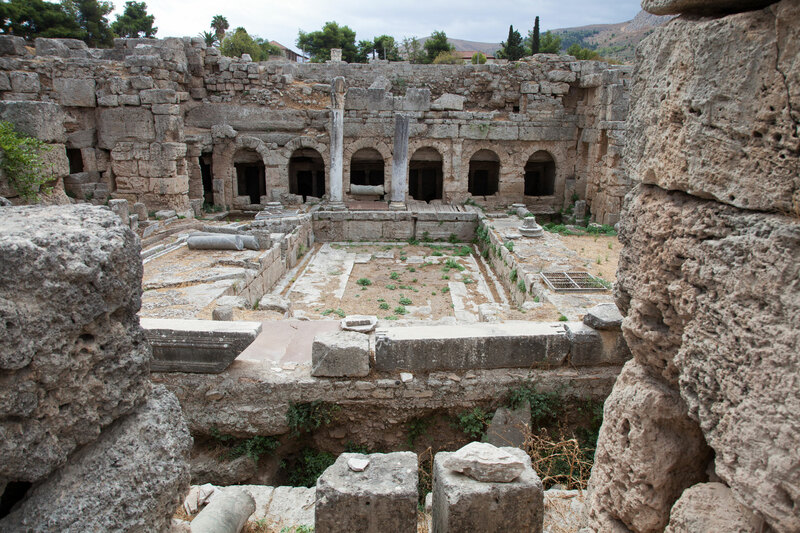 After Apostle Paul was expelled from Athens he visited Ancient Corinth, which was one of his beloved cities. Key sites include the Ancient Market, the Bema of Apostle Paul and Galionas, a large elevated rostrum standing prominently in the center of the Roman Forum from where the city’s officials addressed the public. It’s likely the Bema was transformed into a Christian church during the Byzantine period because of its connection to St. Paul. 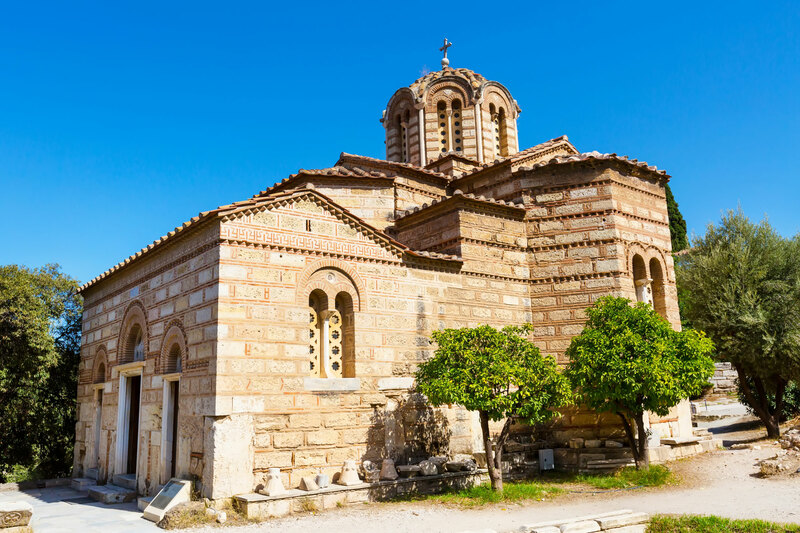 This city is home to the 11th century Monastery of St. Loukas. The monastery is the epitome of Byzantine architecture and included on the UNESCO World Heritage List. 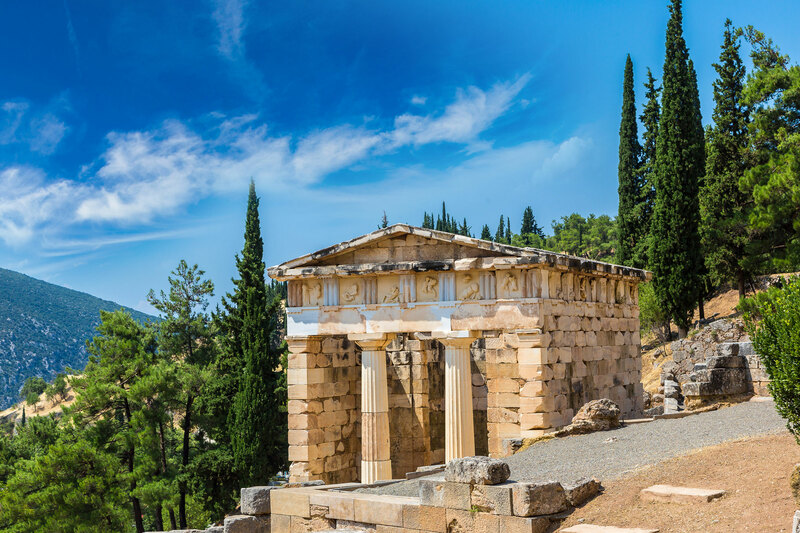 Delphi contains many treasured artifacts such as the Argive Kings monument, Treasury of the Athenians, Athenian Stoa, Polygonal Wall, Temple of Apollo famous for its Oracle and the Delphi Museum. Spectacular Museum exhibits include frieze of the Treasury of the Sifnians, Naxain Sphinx, Statue of Aninoos and the bronze Charioteer created to commemorate a victory at the 476 B.C. Pythian Games. 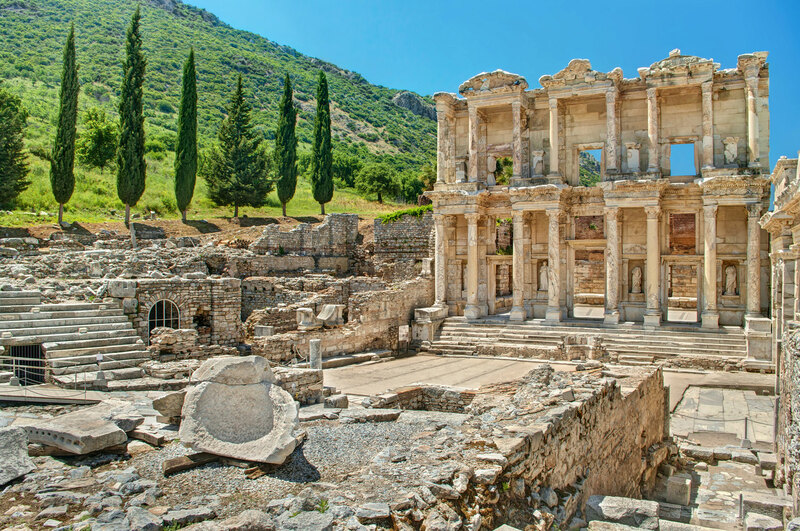 In the ancient world, Ephesus was a center of travel and commerce and contains a wealth of church history and cultural insight. Attractions include Temple of Artemis, one of the seven wonders of the ancient world (Paul’s successful ministry was considered a threat); Library of Celsus, built in 115-125 A.D. is the standard form for Roman libraries; and Commercial Agora, the ancient city’s commercial center (Paul worked here as a tent maker with Priscilla and Aquila). 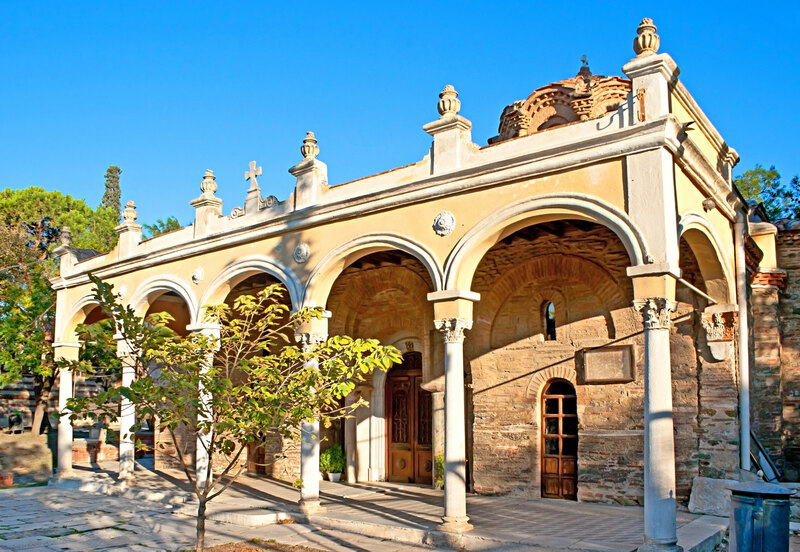 Nearby Selcuk is home to the Basilica of St. John and is believed to be his resting place. This town provides an excellent overview of Ephesus harbor, Mosque of Jesus and Temple of Artemis. 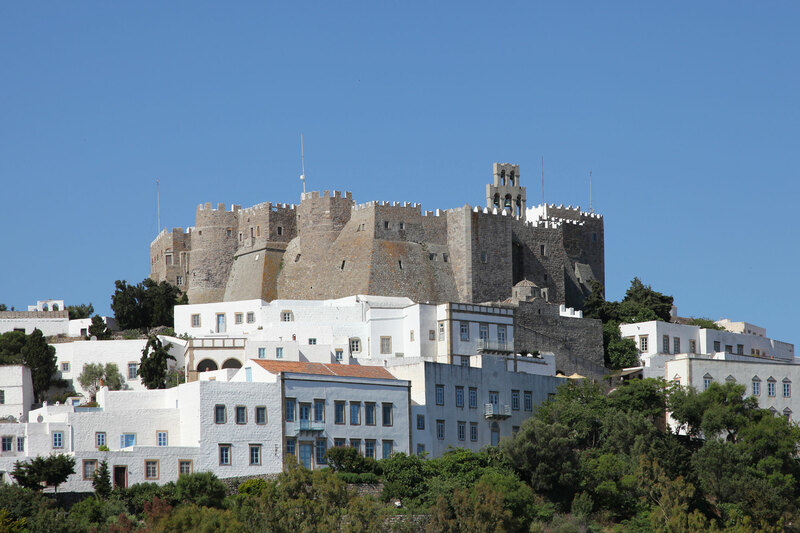 The beautiful Isle of Patmos, under statutory protection as a historic monument, is home to the fortified Monastery of St. John the Theologian and the Cave of the Apocalypse where John received the visions he recorded in the Book of Revelation. The Cave of the Apocalypse is situated halfway up a mountain, along the road between the villages of Chora and Skala. UNESCO has declared the Cave and the Monastery a joint World Heritage Site. 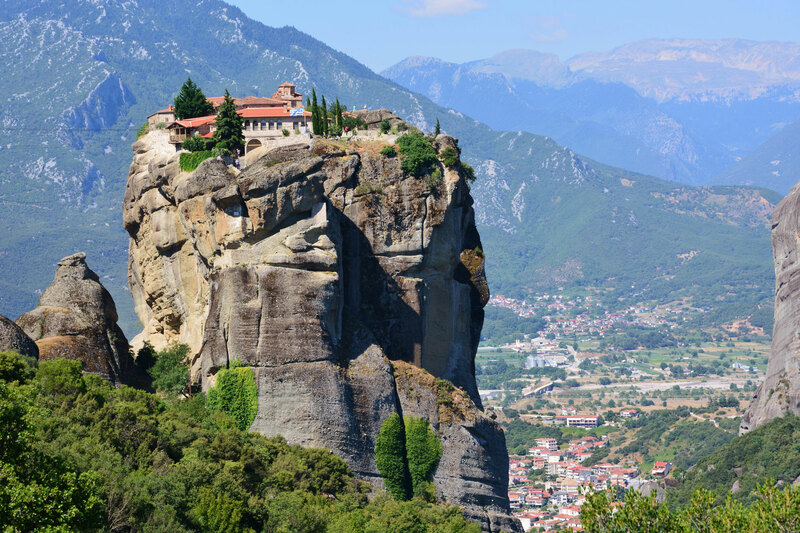 The ancient religious traditions of Greece are seen in UNESCO World Heritage-listed orthodox monasteries of Meteora. These stunning cliff-top religious communities are perched as high as 600 meters above the ground below, offering panoramic vistas and unique insight into the country’s spiritual customs. Three of the remaining six monasteries are open. This ancient city is first seen from the Vlatades Monastery where Apostle Paul stopped to drink water. Believers worldwide worship at the location of “Apostle Paul’s Holy Water” and enjoy the magnificent views of Thermaikos Gulf and Thessaloniki. Nearby, one finds the Orthodox Church of St. Paul. Saint Demetrius is considered the city’s most important church. Its temple is a fine sample of Byzantine religious architecture dating to the 4th century. The most interesting part of the temple is the underground “Crypt of Saint Demetrius,” which has been restored as an exhibition/museum. The “Agiasma of St. Paul,” an underground corridor that leads to a chamber where Paul hid, is a popular visiting spot. This beautiful town, beloved of Paul, is home to the Church of Apostle Paul and the marble statue “Vima of Apostle Paul,” marking the place where Paul frequently preached. 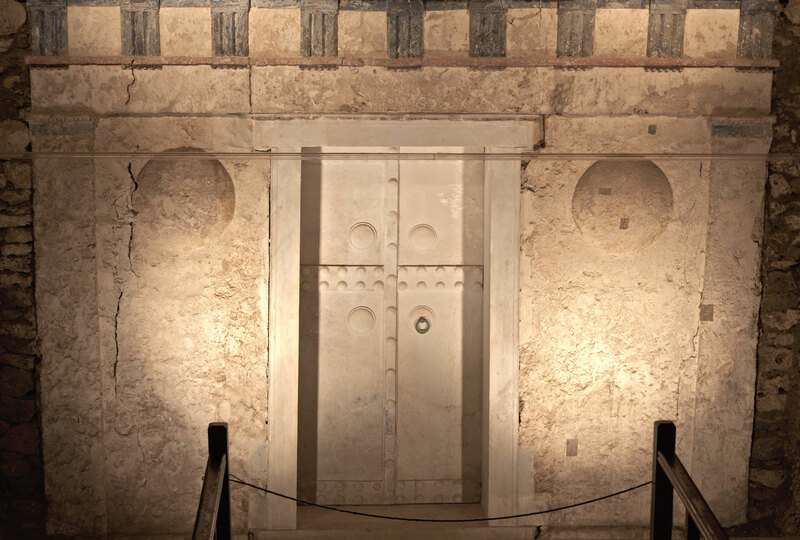 The neighboring town of Ancient Vergina holds the Macedonian Kings’ Tombs including that of Philip II, father of Alexander the Great.